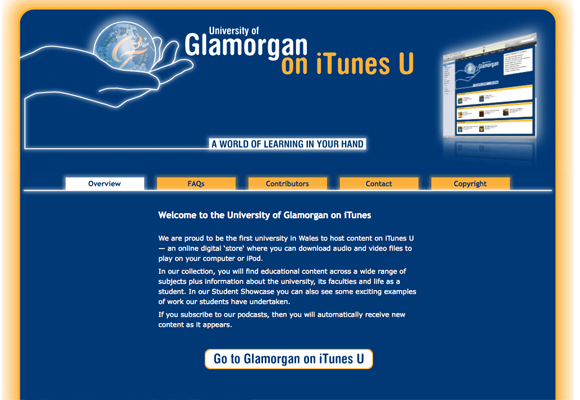 In 2010 the University of Glamorgan was the first Welsh university (and one of the first ten UK HE institutions) to launch an iTunes U site. A world class repository of free learning material, iTunes U features content from the world’s leading educational cultural institutions, such as Oxford, Cambridge, Open University, Harvard, MIT, Moma, The National Gallery, Tate Gallery and many more. iTunes U has provided Glamorgan with an international platform to showcase the excellence of both its academics and students. iTunes U has been a big success for Glamorgan. In the first 18 months in excess of 1 million items of video, audio or PDF content were downloaded and 2.5 million people visited the site. Following metrics developed by Coventry University, this delivered an advertising value equivalent (AVE) of £8 million for the first 18 months. This figure also includes the value of local, national and specialist education press coverage generated by the site. All of which provided global reach and exposure that Glamorgan would not be able to afford through conventional marketing channels. 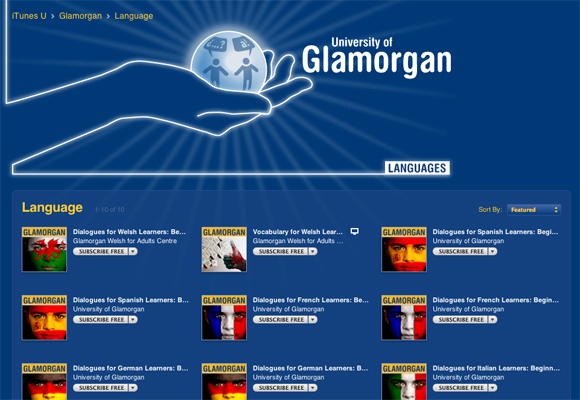 The global reach of iTunes U has also had unexpected benefits for Glamorgan students. Hollywood screenwriter Diane Lake (credits include the Oscar winning film Freda) heard a live radio play produced and performed by students and staff of Glamorgan (The Terrifying Tale of Sweeney Todd) and published on iTunes U. She was so impressed by the radio play that she wrote a script especially for the drama students and staff. The Casebook of Violet Strange provided a unique opportunity for students from a provincial UK university to work with an established Hollywood writer. A small project team was created and given nine months to gather and prepare content, obtain copyright clearances and create the iTunes U site. All of which was in addition to the daily responsibilities of each person’s job. My role was multifaceted, with responsibility for all design and technical aspects of the project and for the preparation and conversion of multimedia content into iTunes U compatible formats. It was my responsibility to select and implement a technical platform that would serve content to Glamorgan’s iTunes U site. Following investigations I selected Podcast Producer, part of OS X Server, running on a Xserve. In order to configure Podcast Producer for Glamorgan’s needs I created custom workflows and dynamic, custom title sequences using Quartz Composer. For the design of the site I was asked to create a fresher, younger look which departed significantly from the University’s existing corporate brand. This look was applied throughout the site, on collection covers, in PDFs, in a support site and on content title screens. 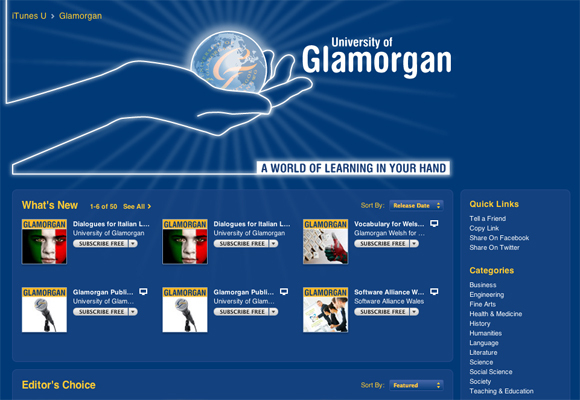 A lot of the content available at launch was converted from pre-existing multimedia content made for e-learning projects at Glamorgan. This required me to re-work interactive content into movies, extract audio and edit animations. A good example of this re-purposing is the Alien Worlds content. Some of the re-worked content required the addition of voiceover soundtracks to replace text based content. For this Sue Burnett, Production Manager, and I auditioned drama students from the University of Glamorgan and its partner college, the Royal Welsh College of Music & Drama. Under our direction the best students provided voiceovers and introductions for some of our most popular content, such as our language learning material. The success of Glamorgan in setting up an iTunes U site with a small team, and in such a short time scale, led to Apple asking Glamorgan to talk about their experiences at Apple Leadership Events in Wales, Manchester & Rome. In support of this I was required to produce high impact, visually led presentations for Pro-Vice Chancellor Prof Clive Mulholland to deliver at these events. 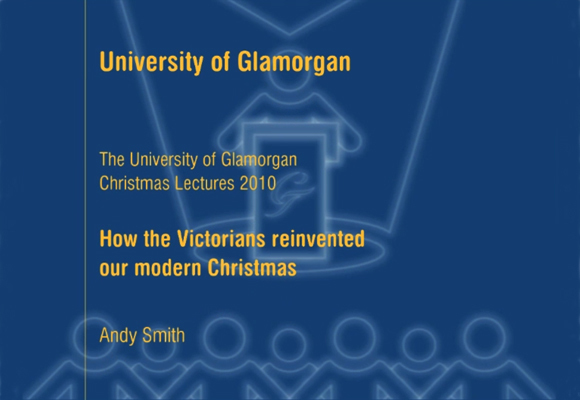 I delivered a version of these presentations (with Sue Burnett) at the Greynog Colloquium (a HEWIT and WHELF organised event for Welsh HE institutions) in 2011. The slides for this presentation are available on Slideshare. In April 2013, the merger of the University of Glamorgan and the University of Wales, Newport led to the creation of a new institution: the University of South Wales. 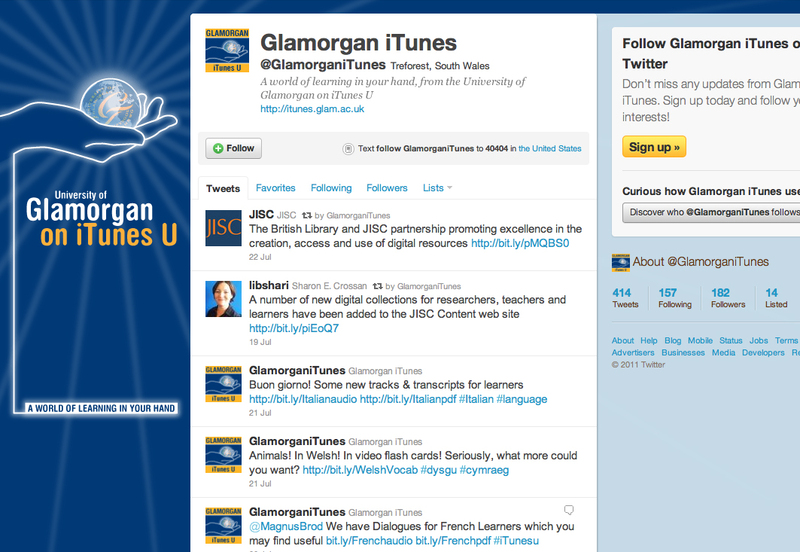 Following this ‘Glamorgan on iTunes U’ was rebranded as ‘University of South Wales on iTunes U’.